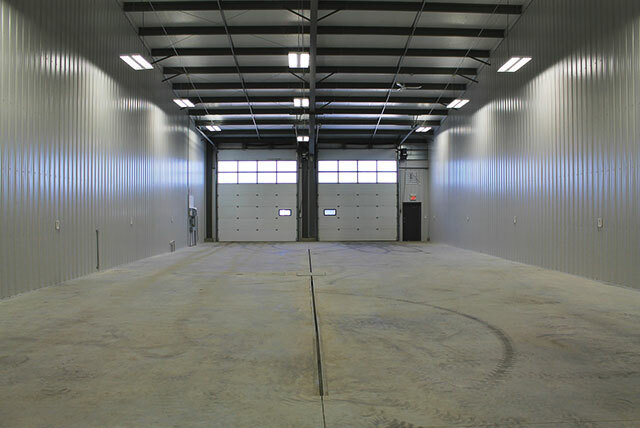 Sunward Steel Buildings, Inc. was proud to manufacture and supply this preconstructed metal building on behalf of a client in Whitecourt, Alberta, Canada, in late March of 2014. 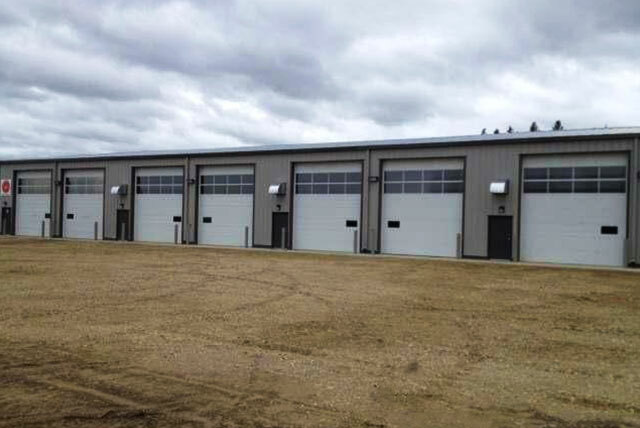 Engineered to withstand heavy snowfall, extreme temperatures, pests and other potential hazards associated with the temperate climate of the Whitecourt area, the building is comprised of high-end steel components, maximizing strength and durability. Currently, the single steel building boasts six individual shop units inside, which the building owner, Ferrey Group Holdings, rents to companies looking to utilize them for a variety of commercial or industrial purposes. 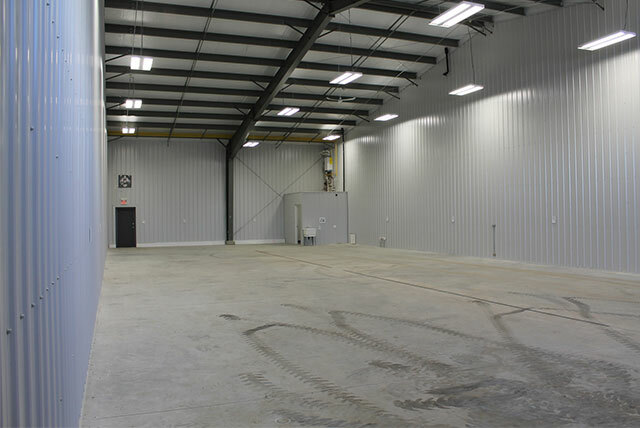 Misty Grey in color, the building offers a finished, fully erect size of 100’x240’x20. Overhead, a rugged, corrosion-resistant roof with a 2:12 pitch provides protection from the elements, while a 6-inch snow gutter surrounds the building, offering an additional level of defense. Distributed throughout the steel rental units are (17) 14’x16’ framed openings enclosing (17) 14’x16’ overhead doors, while (16) 3’4”x7’2” framed openings harboring (16) 3’4”x7’2” serve as additional characteristics, enhancing accessibility for renters. 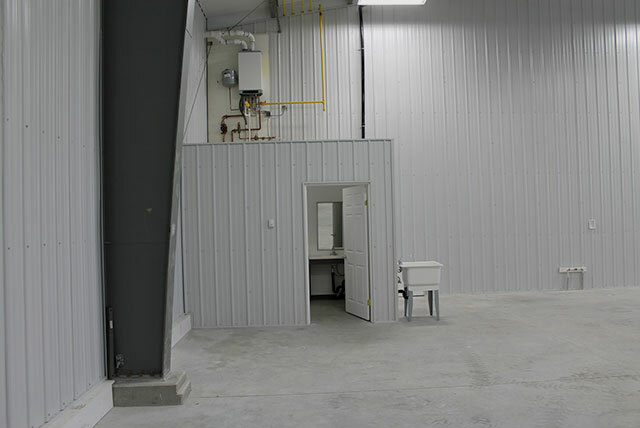 The prefabricated metal building also features several accommodations added with regard for the sometimes extreme weather and climate characteristics of the Whitecourt area, among them a wind load factor of 7.52 and a snow load of 30.51 psf. Intended for commercial renters in need of substantial space, the rentable units within this Ferrey Holdings Group steel building offer the security, space and functionality today’s business owners demand. Each unit features in-floor radiant heat, maximizing comfort despite Whitecourt’s often cold, snowy climate, and rentable spaces also include washer/dryer hookups and U-Drain floor drains that help keep all units clean and dry. Located within central Alberta, the town of Whitecourt falls within Woodlands County, along the confluence of four waterways. Affectionately referred to as “The Snowmobile Capital of Alberta,” Whitecourt lies about 177 kilometers outside Edmonton and about 279 kilometers southeast of Grand Prairie, Canada.